The Chief Flight Instructor, Mr. Randy Rauck, has been flying and training people how to fly from the same aerodrome / Flight Park since 1976, when the Saddle Mountain Soaring School became one of the first certified Hang Gliding Schools in Canada. In 1978, the Canadian Ultralight Aircraft Ltd. was also opened here and became one of the first Certified Ultralight Schools in Canada and the very first ultralight float based school in Canada. 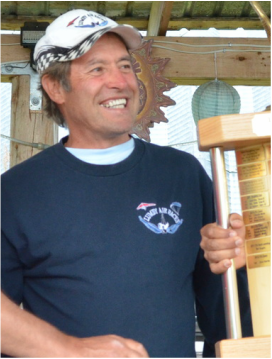 Randy has accumulated over 1000 hours in hang gliders and over 1000 ultralight aircraft hours on wheels, floats and snow skis. He is also a current licensed private pilot with a night rating and has logged over 750 hours on many different Cessna's, Pipers's and home-builts. In 2016 he was awarded the Master Rating from the Hang Gliding & Paragliding Association of Canada for his years of commitment to free flying. More than an instructor, Randy helped create the Lumby Airforce Flying Club to establish a base and community for hang gliders, paragliders and other flyers from across Canada and abroad. He is a mentor, host, friend, musician and dreamer of all things that fly. It is the ambition of the Freedom Flight Park & School to build the Canadian Hang Gliding Museum and Hall of Fame on park grounds to educate and inspire pilots in the history of gliders. Humankind has long been fascinated with flight and soaring the skies. 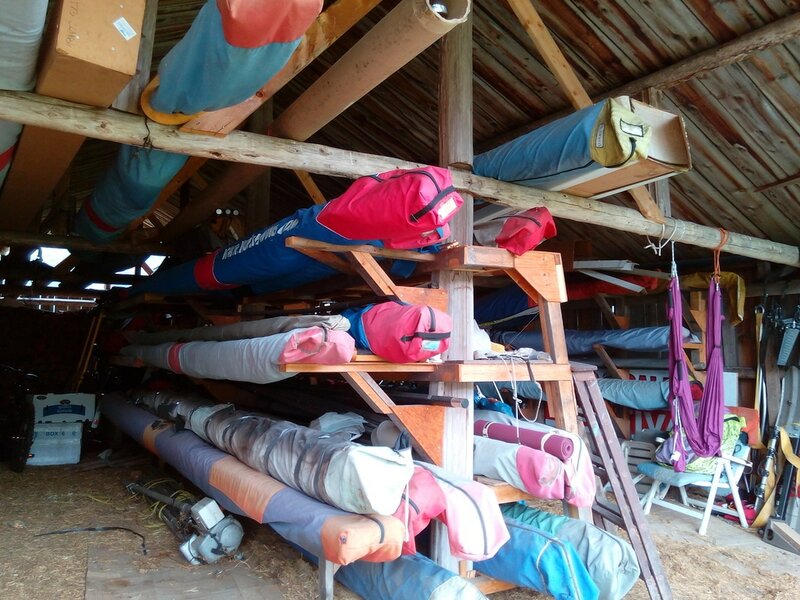 This glider barn is stacked with old, used, gliders with the intention of expanding it to accommodate displays that will tell the history of flight, the types of gliders, tales of the colourful Lumby Air Force past, and prospective flying developments. This project still has a few years of planning and development to go but all enthusiasts are welcome to contribute their knowledge and artifacts. Want to participate or donate to the museum? Send us an email and contact us. ​Want to see what gliders we already have in store? We are building an online database for new pilots to explore and experienced pilots to experience. Pictures will be uploaded here soon. Although the village of Lumby was incorporated in 1956, its history dates back to 1893, when the forty-acre town site was surveyed. Prior to that, the small settlement of pioneer farmers, loggers and gold miners lived in White Valley, whose beginning commenced with the Cherry Creek gold strike in 1862. The gold fever in British Columbia in the early 1860s brought men seeking an instant fortune. Some made their fortune. Others made and quickly squandered their riches. Some were disappointed and disappeared. 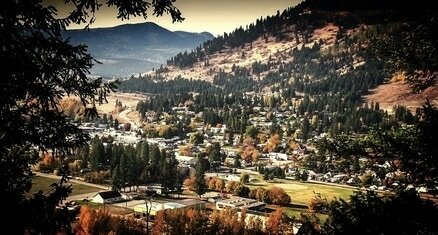 Some realized the real potential was in the lush valleys of the Okanagan Valley. They became the first settlers. For years, farming and logging were the main source of revenue for the region, and so it is today, but on a much grander scale. 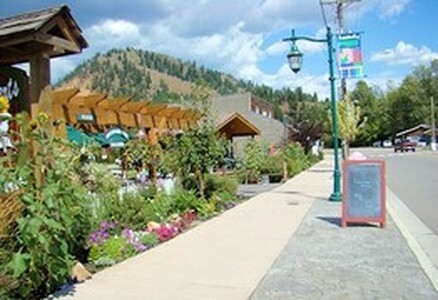 Lumby is now considered to be the wood products and logging capital of the North Okanagan. Annually, the Lumby Days family fair takes place in the beginning of summer, attracting many people from around the valley. Hang gliding and paragliding are very popular in Lumby. The village and The Freedom Flight Park have hosted many national and international flying events.